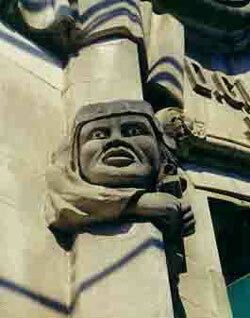 Original Owner: Built under the leadership of Benjamin J. Davis and the Grand Order of Odd Fellows. Built: 1912 - main building opened; 1913 - annex with auditorium is opened. 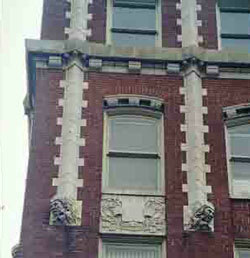 Architectural Style: Jacobean Revival; the façade is embellished with unique terra cotta figures. Original Use: This building housed businesses along the street, office space in the tower and also had a 1,296 seat auditorium and a roof garden- the site of most of black Atlanta's dances and social functions during the 1920's and 1930's. 1903-The Atlanta Independent, a weekly newspaper published by Benjamin J. Davis and the Grand Order of Odd Fellows makes its appearance (latter to be located in this building). Benjamin Davis was editor. 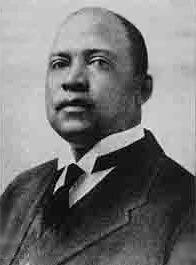 The Atlanta Independent was closed in 1933, consequently leaving The Daily World (1928) as the lone voice for the city's growing black community. 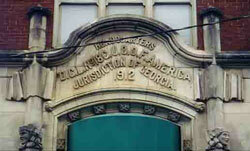 1912-The Odd Fellows Building is dedicated by Booker T. Washington. 1913 - Annex with auditorium is opened. 1914 - June 10. The Gate City Drug Store is opened in the new Odd Fellows Building by Dr. Amos Moses. Visitors receive ice cream and souvenirs. 1918- October. 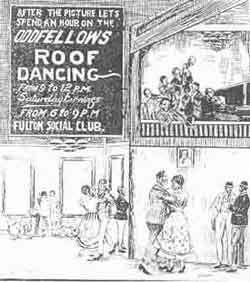 The Odd Fellows Hall Roof Garden closes due to outbreak of Spanish Flu in the African American Community. 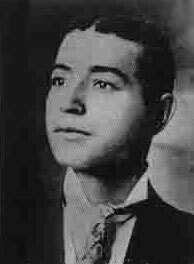 1921- June 2-4. 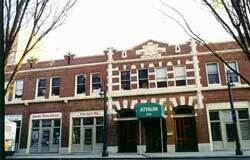 The Auditorium Theatre in the Odd Fellows Annex shows the movie Youth, Pride , Achievement- a motion picture about African Americans in Atlanta. 1980's- The building was completely restored to its original luster. 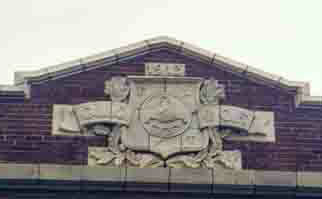 The Atlanta Chapter of the Grand Order of Odd Fellows, a fraternal organization supporting and networking the black business community, built this substantial building as their headquarters and to provide much needed office, retail, professional, meeting and entertainment space for African Americans in Atlanta. One of the major black entrepreneurial centers in America, this well appointed building provided space for The Gate City Drug Store (later Yates and Milton; owned by the first black pharmacist in Georgia, Dr.Amos Moses), Baileys Royal Theatre, Curry-Hall Haberdasher, the offices of Dr. Shaw (Atlanta's first black optometrist), The Gate City Barber Shop, Sportsmans Smoke House and the House of Flowers to mention a few. The Odd Fellows Auditorium in the Annex became a center for entertainment as soon as it opened. The Royal Theatre was located in the Annex and was the only movie house in Atlanta where Blacks could be seated on the main floor. The roof garden created a space to dine and dance in an elegant atmosphere. 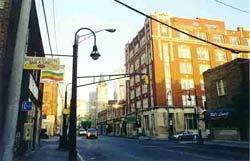 The buildings were restored in the late 1980's and established a benchmark for redevelopment in the Sweet Auburn Historic District. Use browser back button to return to original page. For more photographs go here.